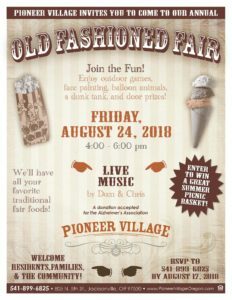 Pioneer Village invites you to come to our annual Old Fashioned Fair! We welcome residents, families, & the community! Enjoy outdoor games, face painting, balloon animals, a dunk tank, and door prizes! Also, Enter to Win a Great Summer Picnic Basket! Live Music by Dom & Chris! 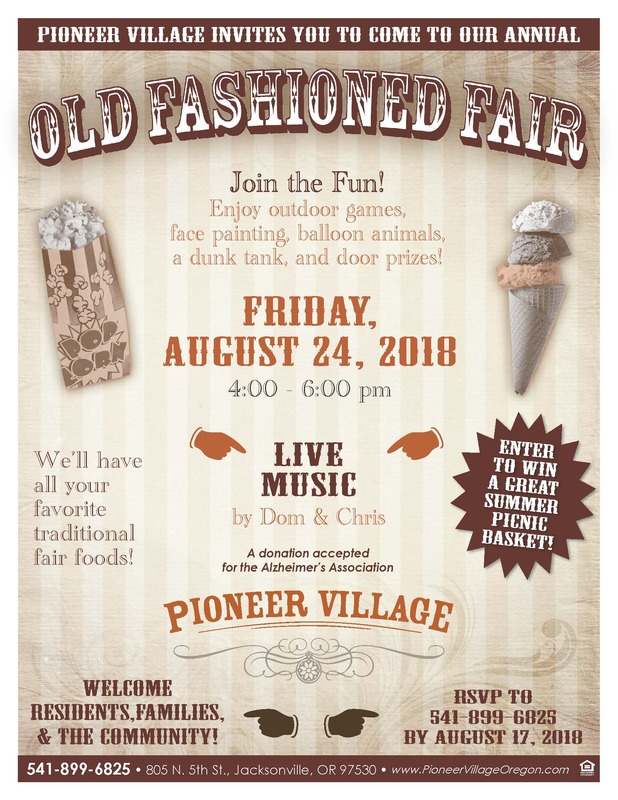 We’ll have all your favorite traditional fair foods! A donation accepted for the Alzheimer’s Association.